Aromatic elixir care for sensitive and irritated skin. 30 ml bottle. 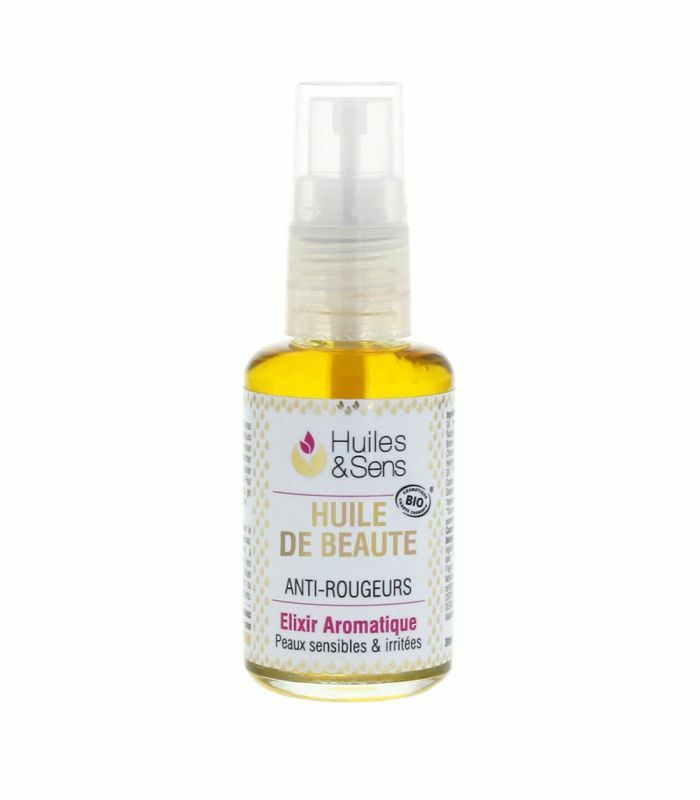 The Anti Redness skin care oil is composed with vitamin-rich carrier oils and precious essential oils known for the following properties: hemostatic and cicatrizing, allowing to appease and attenuate redness and inflammations caused by the dilation of the facial blood vessels. How to use: Apply preferably at night on a perfectly cleaned, humid skin. Use a small quantity and massage it in with the tips of the fingers. Dab the face with a tissue until no excess oil shows there. For very dry skins, apply under your night cream. Avoid contact with the eyes.